I also visited the Sundance Square Pappagallo Boutique… fun outfit all dressed up with this agate and sterling Michele Busch necklace. I have visited this location before and love the upstairs shoe parlor loads of yellow box all the latest styles and they have some great shoes on sale! Of course I found a pair not on sale but at a great price and so cute for summer…and a beautiful navy jacket! 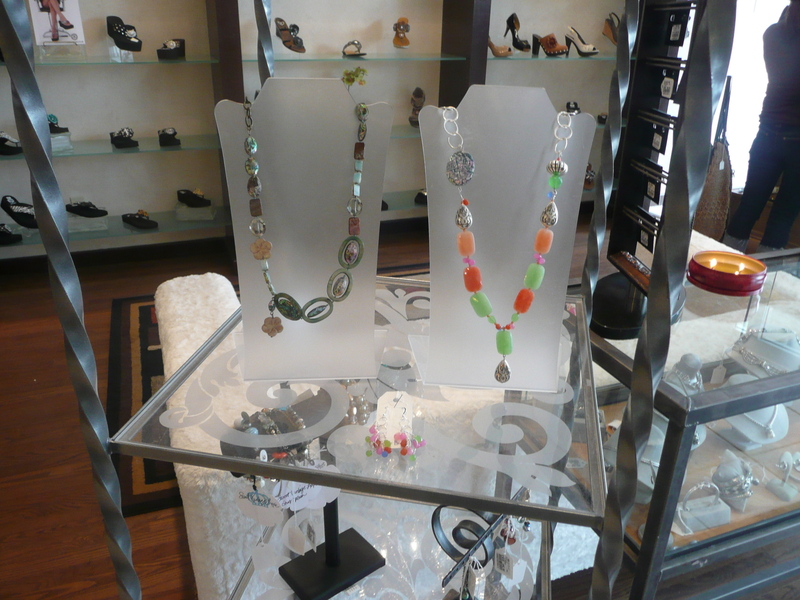 they had my designs displayed throughout the boutique so beautifully I was impressed! The staff here are so friendly and ready to help you in any way they can…so get dressed at the Sundance Square Pappagallo Boutique…they will also be receiving many of my new designs, some one of a kinds… you will only find at this location! So if your looking for a unique piece of jewelry you won’t see on anyone but you…you need to head to Fort Worth and visit the Hulen and Sundance boutiques…have fun shopping I did! 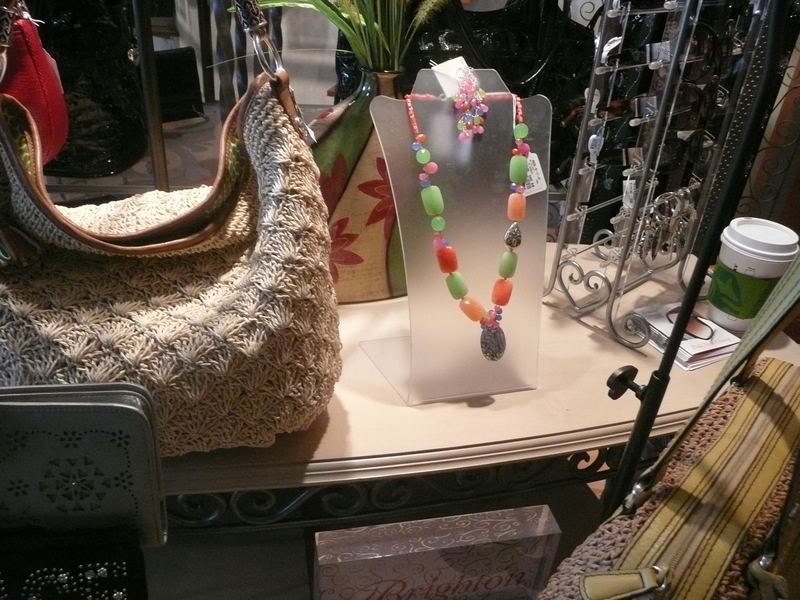 This entry was posted in Jewelry Finds, Where To Buy and tagged colorful, earrings, Fort Worth, friendly service, Hulen, latest designs, Michele Busch Jewelry, necklaces, one of a kind, Pappagallo Classiques boutique, shoes, shopping, Sundance Square. Bookmark the permalink.